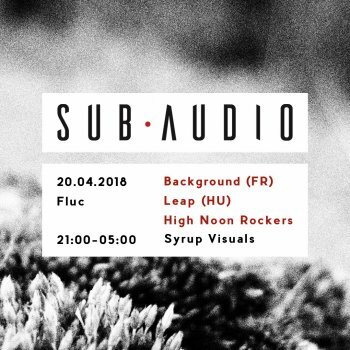 At the forefront of a thriving subculture, French electronic music collective SeekSickSound has been a major and driving force in keeping the scene alive, both in and out of the country. Being the editor-in-chief as well as a prolific DJ and curator, we were severely impressed by his sets as well as the stacked crates of exclusive material. Pleased to have the man himself on the controls - bassweight inbound! One fourth of the ambitious Rebel Bass Crew - the talented artist has made himself heard with great releases on national imprints ASAN Rec. & Cosmic Dust. Equipped with a plethora of original productions, the Hungarian badman will show us how it’s done. Our favourite roots disco and local sound system ‘inna original style and fashion. For those, who’ve missed their regular (and always lovely) dances at Venster99 for the last few years - get to know! They’ll have us skanking to the roots of Dub and Reggae - strictly vinyl, as always.